Lali Puna have already provoked glowing responses from the highest-profile listeners - adored by Radiohead, championed by Andrew Weatherhall, re-arranged by Bomb The Bass, backed by Radioactive Man, remixed by Two Lone Swordsmen and closely followed by an ever-expanding ripple of admiration from a now substantial body of fans. A band made up of members from projects as central to the guitar-pop scene as The Notwist, Tied and Tickled Trio, Console and more. And when you receive support at that level (reaching a peak with the release of their last album "Scary World Theory") - where do you go? For Lali the progression came with confidence : the amplifiers turned up,the instruments plugged in, the voice placed higher up in the mix and the storytelling edged closer to our confused, lawless, modern version of the world. "Faking The Books" explores the musical fusion of raucous instrumentation and layered, soothing production, directed with a pop conviction that isn't afraid to mix vintage synths, vocal effects, garage drum workouts, detroit strums, carefully arranged strings, electronic bass drums and a homage to all the bands that have paved the way for such diversity - you know, the one's that have made the current crop of guitar-pop heroes role-models for a new generation. 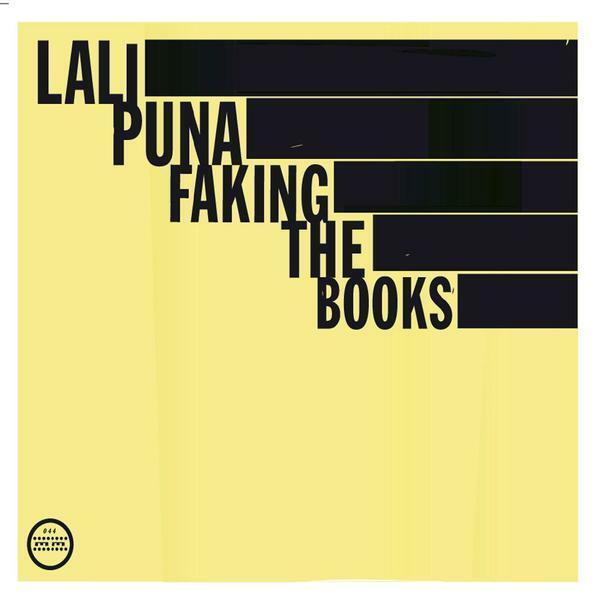 "Faking The Books" is a brilliant guitar-pop album, rich with a textured depth of songwriting and delivery that is over-run by a resigned melancholy that for some miraculous reason still manages to makes you smile and nod your head in keeping with the most memorable kind of pop. Magic.